For my project, I took a slightly different approach and used one die cut in multiple ways. 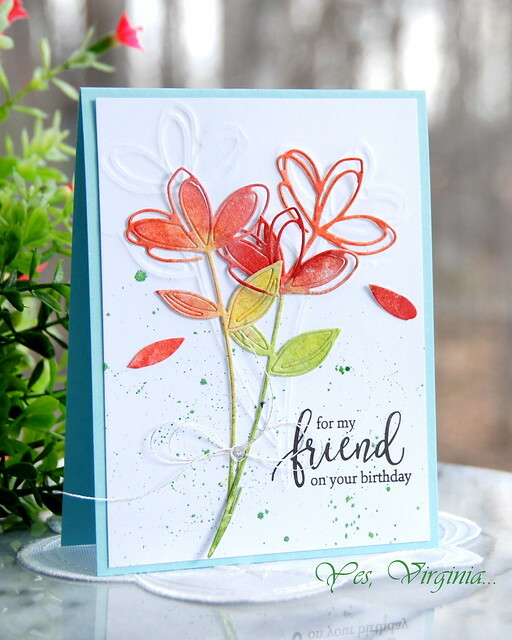 This die "Sketch Floral Craft Die" is simply lovely! It has such fine details with the flower and petals. I gathered my DIY paper from using Altenew's Sprays and made a few die cut. My paper was made from Bristol paper and the mix of Altenew Sprays. A few splatter of Green Wink of Stella was what's needed. I can't help adding a bow with silver strings. The sentiment is from Friendship Blooms. Three wonderful ways to showcase this pretty flower and its versatility! I often forget to use my dies to emboss. Your card: gorgeous! What a great way to use the die, Virginia! LOVE your design! I saw your gorgeous card on Instagram and just had to know how you did it. I'll try the die embossing technique, is it like embossing a stencil? Ooooh, this is wispy, whimsical and just delightful!! 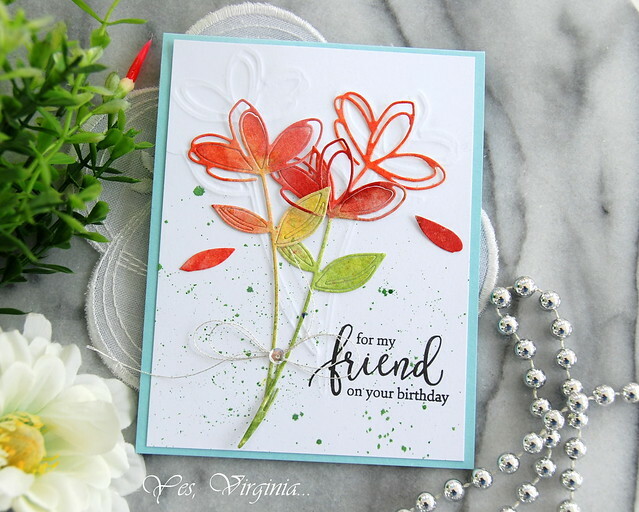 Just love the falling petals, Virginia - cool use of this die!! 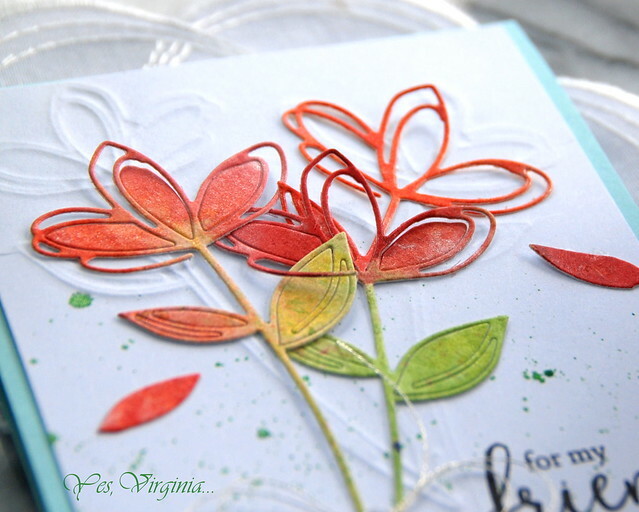 Beautiful card, that flower die is awesome! I think I need it! Whatever approach you took, it is the right one. Love the background, of course, but the star of the show is those delicate, lacy, vibrantly colored blooms. Reminds me of freesia and evokes a feeling of Spring. This is very beautiful card and clever use of the die's negative pieces. Gorgeous card!!! I love the layers and the embossed white flowers definitely added to the bouquet, so precious! Absolutely gorgeous, Virginia! I love how you also used the flower to make a background impression! What a terrific idea, using the die to emboss the background like that! Love those gorgeous colors, too! I love the beautiful flowers!! Gorgeous!